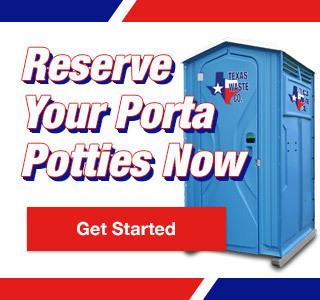 Private Party Porta Potty Rental | Texas Waste Co. The experts at Texas Waste Co. will assist in outfitting your private party with the right make and number of private party porta potty rentals to ensure that your event is a success! For private parties like corporate events, maintaining a professional and safe environment for guests is extremely important. To uphold your reputation, we only supply events with the most sanitary facilities. If alcohol will be present for large groups, our private party porta potty rental experts recommend increasing the number of sanitation facilities on-site. At Texas Waste Co. we make private party and corporate event planning easy with same day and weekend delivery. Paired with our friendly customer service and you’ve got a sanitation company this is next to none. Call today to speak with a private party porta potty rental consultant. They’ll listen to your event details and fit your unique party with the perfect sanitation facilities.